Because the human genome contains the blueprint of life, its spiraling sequence of four nucleotides — thymine, adenine, cytosine, and guanine — is designed to be stable and unchanging. The epigenome, which is the assortment of chemical and protein tags that mark which parts of that sequence should be read, is a different story. 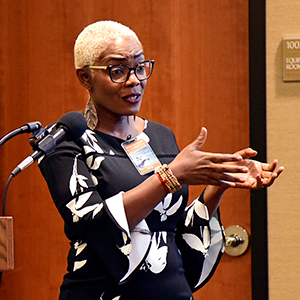 As NIEHS Distinguished Lecture Series speaker Cheryl Walker, Ph.D., told the audience during her Feb. 12 talk, the epigenome has built-in plasticity, particularly during critical periods of development. The epigenome of a developing individual can sense the environment to prepare for its adult life. But if life turns out to be different than anticipated, that positioning can end up being a vulnerability. Epigenetic marks come in two basic varieties — chemical tags that are attached to DNA and protein tags attached to histones — around which the DNA is spooled. These tags, referred to as chromatin marks, are placed, recognized, and removed by molecules that Walker calls “epigenetic readers, writers, and erasers,” respectively. Epigenetic marks are particularly active during certain periods of development, such as when eggs and sperm are being formed, when a fetus is developing in the womb, and during childhood. 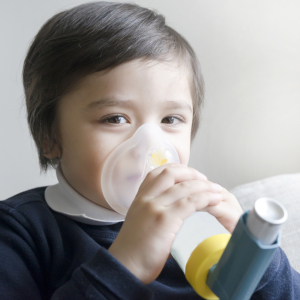 During those times, the epigenome can be reprogrammed in response to environmental cues like diet, air pollution, and estrogen-disrupting chemicals. Walker’s latest research, yet unpublished, is looking at how exposure to a class of chemicals called endocrine-disrupting compounds, including the estrogen-disrupting chemical bisphenol A (BPA), early in life can cause changes in the epigenome that have effects much later in life. Specifically, she is interested in the role BPA may play in the growing epidemic of nonalcoholic fatty liver disease (NAFLD), which now affects 30 percent of American adults. NAFLD can raise the risk of heart disease, diabetes, cirrhosis, and liver cancer. Walker found that the natural aging of the epigenome was accelerated by early life exposure to BPA. Walker and her team exposed mice to BPA during development. They found that liver metabolism was not altered in these mice until they were exposed as adults to a diet high in fat, sugar, and cholesterol — sometimes called a western diet. Using a sophisticated technique called CHiP-seq, Walker’s team found that many of the epigenetic marks normally present after birth disappeared and were replaced by a signature of epigenetic marks more typically found only in adult livers. The finding occurred only in the male mice. What they saw is explained by a relatively new idea known as epigenetic aging. 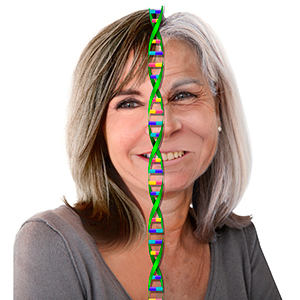 Just as the functioning of cells and tissues changes naturally as we age, so do the epigenetic marks on genes governing our body’s processes (see related story). Walker found that the natural aging of the epigenome was accelerated by early life exposure to BPA. She showed that the epigenetic reprogramming caused a host of genes involved in various aspects of liver function, such as fatty acid metabolism and cholesterol metabolism, to respond inappropriately to a western diet. Since conducting postdoctoral training at NIEHS, Walker has become an internationally recognized scientist in environmental health and the molecular mechanisms of disease. Walker directs the Center for Precision Environmental Health at Baylor College of Medicine. She also directs the NIEHS Training in Precision Environmental Health Sciences Program, which provides a high-quality curriculum to predoctoral and postdoctoral fellows interested in that area of research. 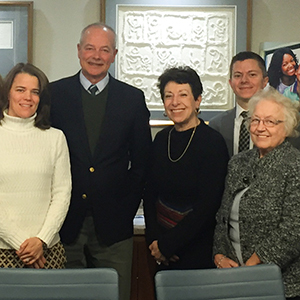 “Her studies on the role of the epigenome and gene-environment interactions have yielded significant insights into the mechanisms by which early life environmental exposures influence health and disease across the life course,” said NIEHS Deputy Director Rick Woychik, Ph.D. 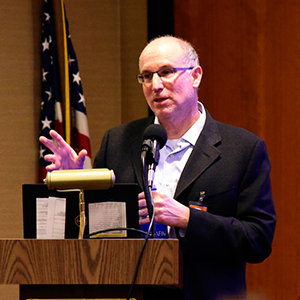 He stood in for NIEHS and National Toxicology Program Director Linda Birnbaum, Ph.D., who was unable to attend. Among other honors, Walker is a fellow of the Academy of Toxicological Sciences and the American Association for the Advancement of Science. In 2016, she was elected to the National Academy of Medicine.